It is at this point that I commence squealing like a fangirl in an old fashioned kettle. For those of you not already aware, Journey Quest is a fantasy comedy series from the same beautiful minds that brought us The Gamers trilogy, my all time favourite RPG comedy series. It follows the story of Superfluous “Perf” a yellow-graded wizard who can cast only a few spells and can only rarely get them right, naturally he’s the chosen one and wields the Legendary Sword of Fighting who does not like him, not one little bit. Brother Carrow The cleric of the god of light who really despises the undead. Fun fact, thanks to a series of fumbles by Perf, he is now undead, and accidentally blew up an arm in an attempt to cast a spell. Nara A ranger who was supposed to be the chosen one, and becoming the chosen one ruined every chance Perf had with her. She’s a barrel of fun… honest. Glorion A mighty knight and hero of valour, all evil doers before him shall be slain no matter what they’re doing at the time. He’s a little dense, but his honour more than makes up for his general obliviousness to his surroundings. And finally Wren the bard, although not technically a part of the group, she’s stalking them for the sake of the story like some weird fantasy journalist, but she’s got her own story going on with a love interest, a bitter rival, and a long list of complications. And theirs plenty of others besides, impressive for a series that amounts to little more than a few hours of footage. There’s a lot of love that have gone into the first two seasons from both the production crew and the fans that support them, and now’s my ch- OUR chance to make season three happen. Here’s the campaign, but the support for this begins long, long ago. Zombie Orpheus started a page last year to begin gathering names of people who would be willing to support the crowd funding campaign when it launched. Almost 4,800 people signed the petition out of the 4,200 names required, but as yet only 1,500 people have given to the campaign, and with twenty six days left to go there’s still plenty of time for the stragglers to get on board. The ask this time is pretty big, but these guys have a proven pedigree, an excellent product, and always deliver. I for one think it’s worth it, and I’ve already given some of what I can and may very well end up upping my support. Take a look see at what you can get for your hard earned money, as usual the gang offer up some incredible rewards to fans and newcomers alike. In the past I’ve received minis and campaigns as well as Blurays and memorabilia, and Journey Quest is shaping up to do something similar. A lot of the top tier rewards have already vanished and some of these remain very limited (numbers accurate 21/01/16, and may have changed) but for those willing to contribute there’s a lot to gain from giving even a little. We’ll thank you by name in the CREDITS. Plus, you can prove you helped with a printable PDF BACKER CERTIFICATE. You’ll also receive EARLY ACCESS to stream new episodes. You’ll receive a DIGITAL DOWNLOAD ($15) of the uncut, uninterrupted project. We’ll also include a PDF of “NETHADRIC’S PRANKS”, a JourneyQuest Adventure path by Matt Vancil and Kevin Mickelson. Also includes ALL PREVIOUS REWARDS. You’ll receive your choice of DVD or BLURAY ($20) with a signed, backer-exclusive cover. You’ll also receive an EXCLUSIVE EMBROIDERED BACKER PATCH ($5). You will work with JourneyQuest creator Matt Vancil to COIN A NEW WORD ($40) in the Orcish language. We’ll etch your name, your backer number, your original word, and its definition onto an EXCLUSIVE METAL CARD ($10) that you get to keep. Stretch goals may unlock additional physical rewards. See main campaign page for updates and details. 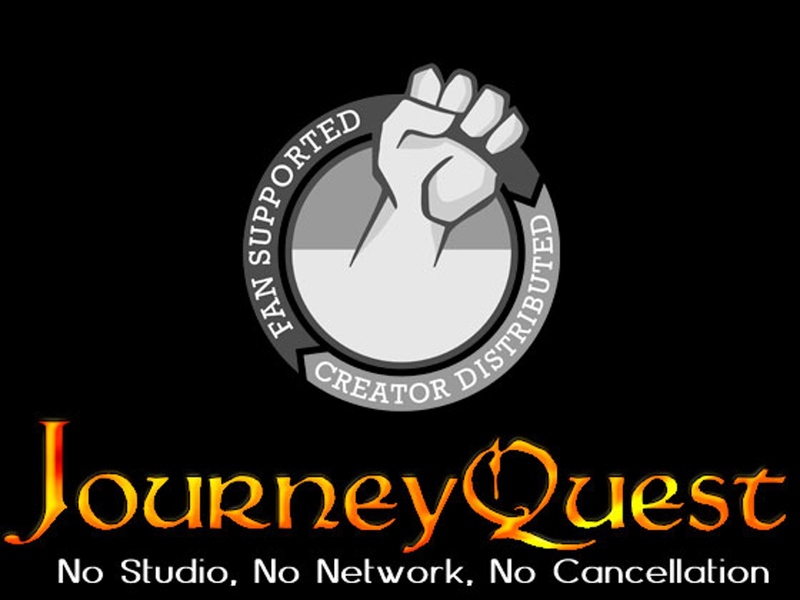 You will attend a WRAP PARTY ($140) in Seattle with the cast and crew of JourneyQuest. We’ll hand out special grab bags of JourneyQuest MEMORABILIA and a PERF MINIATURE ($10), provide photo ops with the cast, and tons of entertainment and games. Transportation and lodging not included. (Estimated date: April 30, 2016. Date subject to change.) 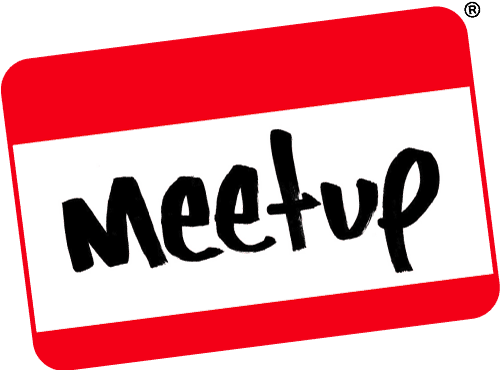 If you can’t attend, we’ll save and ship the goodies for you. You will receive RED CARD PRIVILEGES ($230) for ZOE and Dead Gentlemen. When we tweet an egregious infraction (pun, off-color joke, clueless remark) from set, you may use your red card to give the perpetrator a time-out. They will be banished from set and a substitute assigned to their role. You will also receive a physical, etched metal RED CARD ($10) with your name and backer number on it. This reward may also be used at conventions, fan gatherings, and parties. You will also receive a JQ3 CAST & CREW T-SHIRT ($10). You will join us for a day on set as a FEATURED EXTRA ($500). You could be a tavern patron, a miner, a devious henchman, or an unfortunate victim of heroic violence. You’ll hang out with the cast and crew, have photo ops on set, and preserve your likeness as an official cast member. Transportation and lodging not included. Also includes ALL PREVIOUS REWARDS ($500). 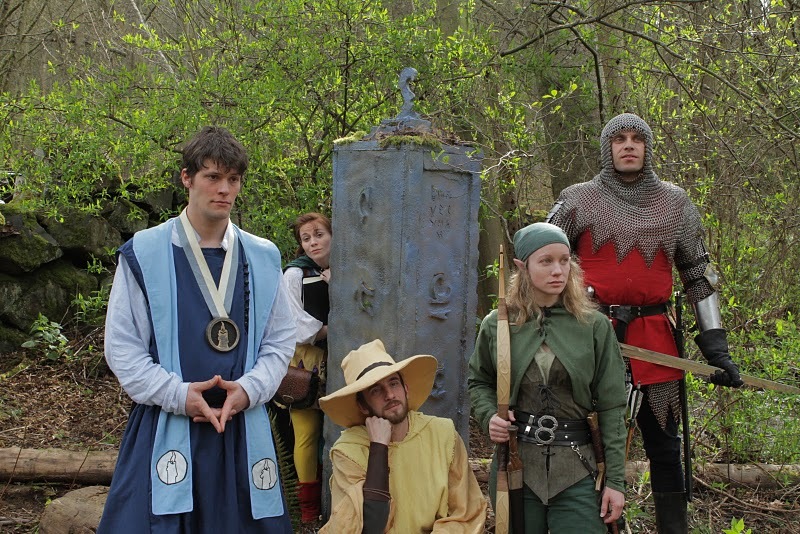 You will join available cast members for a day ROLEPLAYING ($2310) in the world of JourneyQuest. We’ll feed you LUNCH AND SNACKS ($20), video your epic gaming adventure, and find out if there really is a better way to slay a river. Transportation and lodging not included. You will also receive your own PERF HAT ($170). Also includes $500 RED CARD and all lower rewards. Give generously folks, I promise you you’ll get as good as you give. Zombie Orpheus and the Dead Gentlemen remain as ever supported by the fans, creating for the fans, only creating what we want to watch, and I for one really want to watch. This entry was posted on January 24, 2016 by terraphi. It was filed under Entertainment, Film, Kickstarter, YouTube and was tagged with Dead Gentlemen Productions, Journey Quest, Kickstarter Highlight, Season 3, The Gamers, Zombie Orpheus Entertainment.